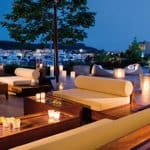 In the unspoilt Greek region of Halkidiki, Sani is one of Europe’s most attractive family resorts set on an eco-reserve of pine forests, jagged cliffs and superb sandy beaches. In addition to a choice of hotels within the resort, there is a marina stuffed with posh yachts, authentic tavernas, a crèche, tennis centre and outdoor cinema. Our resort is unique: a purpose-built playground for families set in a 1,000-acre ecological reserve made up of forests, olive groves and white sandy beaches. It is located in Halkidiki on the Greek mainland, a region known for its crystal clear seas and pristine coastline. 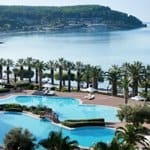 Within the resort you’ll find a choice of hotels, spas, extensive sporting facilities and a number of authentic Greek restaurants and tavernas, some overlooking the busy marina. Because Sani is so large, but self-contained, families are free to roam in safety. There are hiking trails through the woods, mountain bikes to rent and long beaches that are perfect for sunset walks. Most popular amongst families are the Porto Sani, close to the Marina, and the Sani Club with contemporary bungalows, some with private pool. Both hotels offer excellent facilities for children. On the beach, the Babe Watch nannies take care of babies and toddlers while you enjoy a swim (the first 30 minutes is free). Our OFSTED-standard Melissa Creche accepts babies as young as 4 months old (payable locally). The complimentary Melissa Mini Club takes children from 4-11 years, with a programme of activities that includes a mini-Olympics and explorers programme. Both are accredited by and the staff are trained by the renowned Worldwide Kids. In the high season, we also run football and sailing academies, while the cool Teen House Ozone is open from 10am to 10pm throughout the high season for ages 12 to 17. Opened in June 2017, our newest arrival is Sani Dunes, a stylish, tranquil and contemporary hotel with its own private beach, heated indoor and outdoor pools and a fabulous spa. 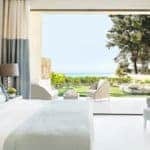 The boutique-style of Sani Asterias makes it a popular choice amongst couples, not least honeymooners, with its own exclusive beach, Michelin-starred chefs and all-suite accommodation. Click here for more about the Sani Resort, including our booking details. Check our new Sani Tailored special offers which allow you to mix and match the added extras which best suit you – from a free spa session to a free night.